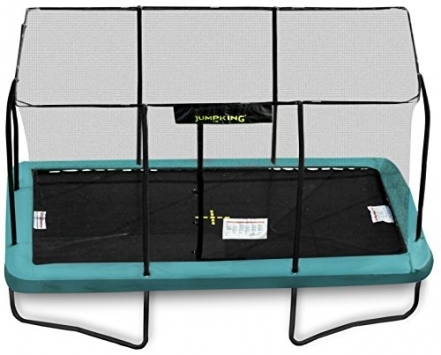 This rectangular trampoline is one of the biggest on the market. It has 3 different ‘jump zones’, ensuring you are not drawn into the centre. It is quick, easy and safe to assemble (2 persons required), and comes complete with an integrated UV-resistant, sewn-in safety net. With excellent build quality, the manufacturer guarantees the steel frame for 10 years and the bed & springs for 5 years.